I have been a teacher for 30 years, a Headteacher for 15 years and, at the age of 54, this much I know about reading, vocabulary and missing Alex Quigley! 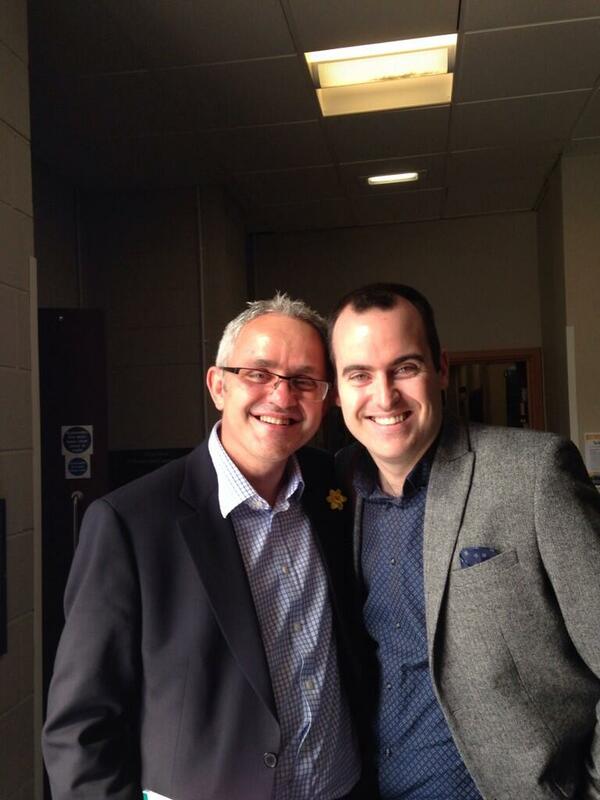 I was privileged to work closely with Alex Quigley for years. He has influenced my teaching greatly and I miss our challenging conversations about reading and writing now he is working for the Education Endowment Foundation. 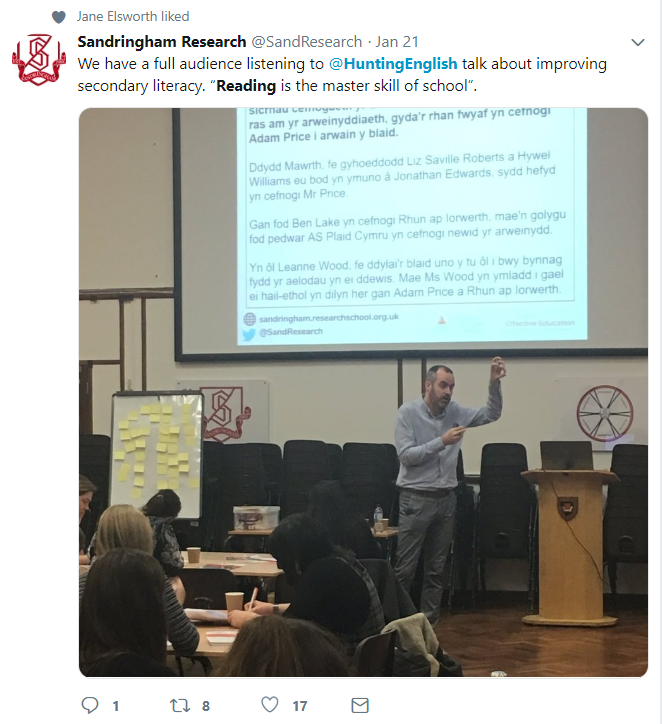 Alex’s work on reading and vocabulary has been especially powerful and I have been using some of what I have learnt from him in my recent teaching. My mixed-attainment group of 30 Year 9 students is learning how to understand what meanings a writer implies in his or her writing. They have a wide range of prior attainment and socio-economic backgrounds. 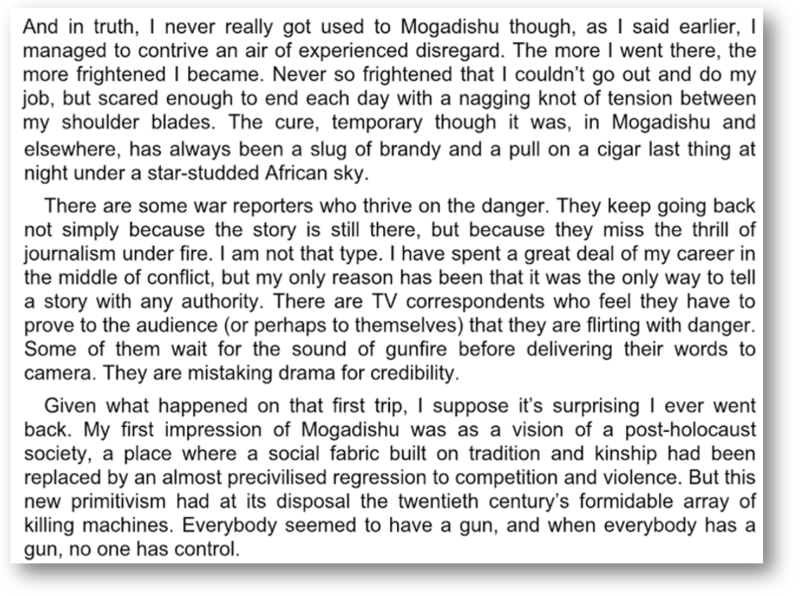 Just take the first sentence: “And in truth, I never really got used to Mogadishu though, as I said earlier, I managed to contrive an air of experienced disregard.” In order to understand the sentence, first of all you need to know who George Alagiah is and what he does for a living. And to know all about George, a student would need to live in a house where the BBC News was staple viewing. Few teenagers watch TV news any more, let alone on the BBC. Important, then, to tell the class all about Alagiah and his career as a journalist. It would also be helpful to explain where Mogadishu is and a little about the conflict-history of Somalia. All this before you begin unpicking what on earth this first sentence means and what is explicit and implicit about what it communicates to Alagiah’s readers. Then we come to the vocabulary required to understand “contrive an air of experienced disregard”. Contrive comes from the Old French controver which means ‘imagine, invent’. Nothing much there to enable students to unlock its meaning, but how about “con” which means to deceive, which is a help, even if its derivation is from the word “confidence”. Maybe “confidence” is a show rather than anything genuine, but when you research its etymology, the word “confidence” derives from the Latin, “confidere” meaning “to have full trust”. Onto the next challenge: what, to a 14 year-old, is “an air”? I could only explain by walking around the room with a confident swagger, pretending to be Alagiah and creating an image in the students’ minds as he pretended to be unaffected by dead bodies on the roadside and casually dismissed the presence of banda-wearing, gun-toting mercenaries. “Experienced” wasn’t too hard to explain, but “disregard” was trickier. French for “to look” is “regarde” and the benefits of insisting 85% of our students enter a MFL GCSE became obvious. If “regarde” is to look, then to disregard is not to look, to ignore. As an aside, it’s worth pointing out that back in 2003, when MFL became optional at KS4, we ignored the new freedom; Huntington students have always studied a MFL to GCSE since we opened in 1966. We are a fully comprehensive school. In an insular city on an insular island, successive school leaders have felt studying a different language and culture to be an essential element of a Huntington student’s rounded education, no matter his or her background. And that was the depth of explanation required to ensure everyone in the group understood just the first sentence. It was enjoyably hard work. By the end of the hour lesson, every student understood the whole passage; next we will explore the sentences where Alagiah’s meaning is implied rather than explicit. What does he really think of the correspondents who mistake “drama for credibility”? 1 Response to This much I know about…reading, vocabulary and missing Alex Quigley!